Nicola Odemann is a photographer from Muenster, Germany. She shares some outstanding photos from a hiking trip in the Dolomites, in northern Italy, shot entirely with a Nikon F65 film camera. Robb Thompson is a photographer from Vernon, British Columbia who got into photography around through a combination of iPhone photography and Instagram inspiration, leading him to eventually make the jump to more serious DSLR photography. 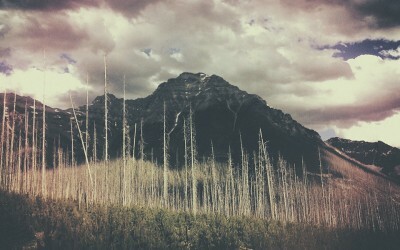 He shares photos from a mountain bike trip at Little White Mountain in British Columbia. Corinne Wyss is a photographer from Baden, Switzerland who I’ve come to know on Instagram in the past several months, and one of her photos of the Matterhorn was one of EB’s Instagram Favorites earlier this year. 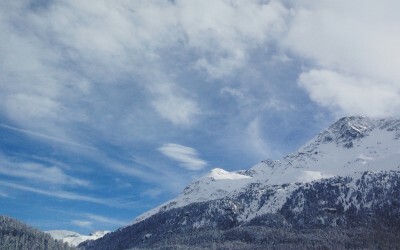 She shares some beautiful photos of the mountains around Switzerland. Matthew Lawless is a photographer San Diego, California, and his imagery is full of textures and colors, double exposures, mirrored images, and other effects. 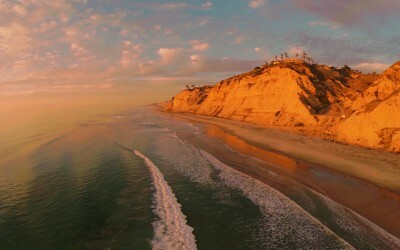 He shares photos from Blacks Beach at Torrey Pines State Reserve in San Diego. 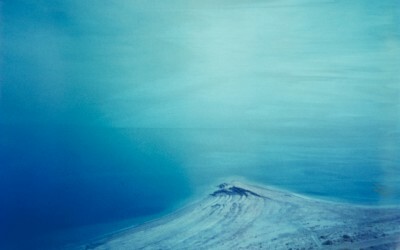 Peter Eriksson is a photographer from Tyresö, Sweden. 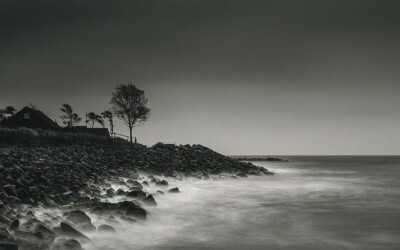 His black and white landscape photography comes with a strong sense of mystery, making you feel like there is nobody around for thousands of miles. He shares photos from Österlen, Sweden, a town on the Baltic Sea. 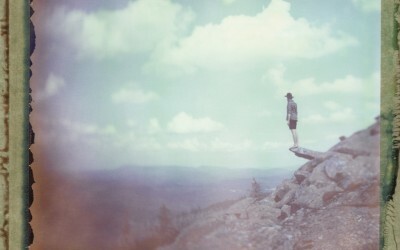 Isaac Lane Koval is a photographer from Portland, Oregon. 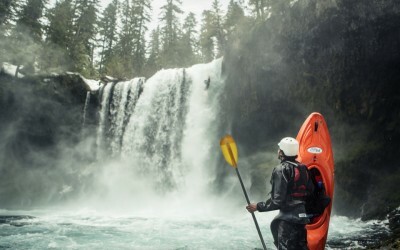 He shares photos of some impressive white water rafting photos taken of one of his friends dropping a serious waterfall in Oregon. Alexander Kopatz is a photographer from Norway that I’ve come to know of on Instagram in the past several months, and his feed has always impressed me both in the moods his photos convey, and the high quality of the wildlife photos he posts. 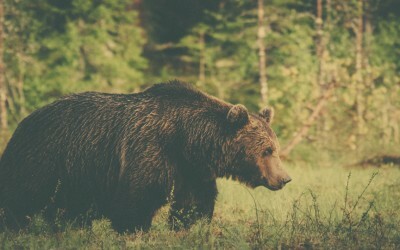 He shares photos of bears that he studied with colleagues in Suomusalmi, Finland. Seth Hardie is a photographer and designer from Edmonton, Alberta, Canada. He shares photos of Marble Canyon in British Columbia, full of his stylized approach to photos with a somewhat apocalyptic surroundings of the forests and mountains. Anthony Smith is a photographer from San Clemente, California, who is afforded some great photo adventures through working for Bike and Powder magazines. He shares photos from the Crankworx mountain bike festival in Whistler, British Columbia. 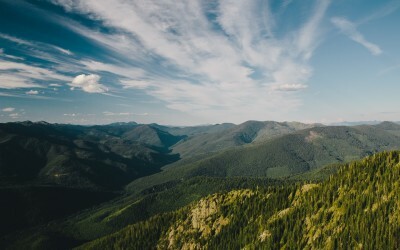 Justin Mullet is a photographer from Newport, Washington who was feature in the EB blog a few months ago after finding his great Pacific Northwest photos on Instagram. 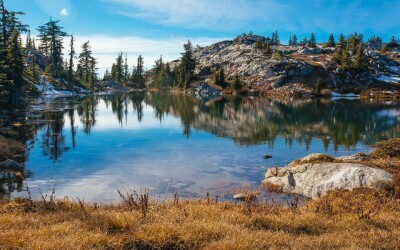 He seems to have some great adventures in the mountains and forests around him, and his submission includes photos from a hike at Hall Mountain in northeastern Washington. Dan Isaac Wallin is from Gothenburg, Sweden, and is the third photographer featured in an issue whose photography consists entirely of film-based images. He shares some really outstanding images of the Judean Desert in Israel, taken with a wooden pinhole camera and Polaroid film. Owen Perry is a Canadian photographer living in Whistler, British Colombia and you’ve likely come across his beautiful seasonal photos of Canada around the web. 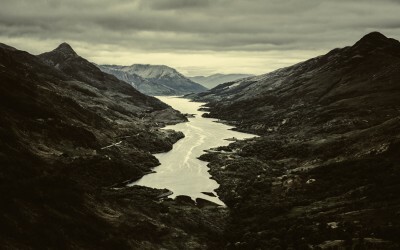 He shares photos of the Scottish Highlands around Glencoe, Isle of Skye, and the Glenfinnan Viaduct. Matt & Agnes Hage are from Anchorage, Alaska, and they are fortunate enough to have built a photography business and lifestyle around exploring some incredible places around the world. 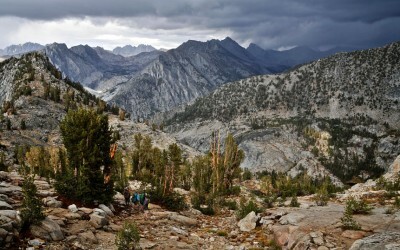 They share photos from an assignment in the Sierra Nevada mountains in California that consisted of a 200-mile trek from Kings Canyon to Yosemite Valley. Lance Gerber from La Quinta, California, is a photographer who primarily focuses on architectural photography, but his landscape photography is what really caught the eye of Expedition Bureau. 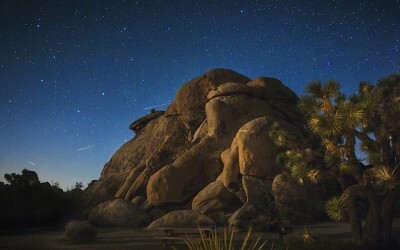 He shares some really nice long exposure shots of the Perseid Meteor Shower taken at Joshua Tree National Park earlier this year. Julian Brezden is another photographer from Edmonton, Alberta, Canada that I’ve come to know through Instagram, and his feed is filled with a mix of landscapes, sunsets, and urban images from around Canada and New York City. 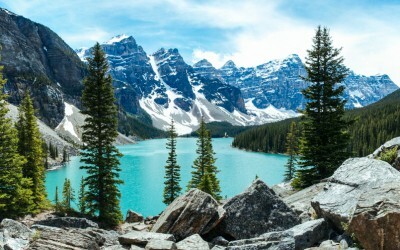 He shares photos of Banff National Park taken during various day trips to the park. 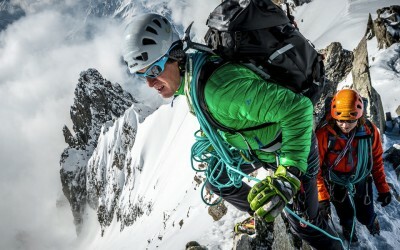 Alexandre Buisse is from Chamonix, France, the mountaineering capital of the world. He grew up in Lyon, France, and has traveled the world as a climber, skier, and paraglider and commercial mountain photographer. 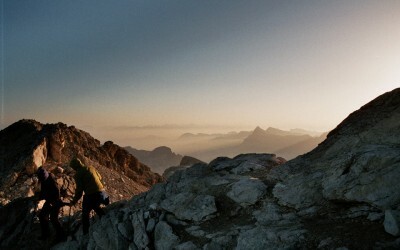 He shares awe-inspiring photos from the mountains in Chamonix. Bastian Kalous is from Freyung, Germany, and he almost entirely uses expired film and Polaroid film with a variety of film-based cameras. He shares photos of the Bavarian National Forest in Germany. Jakub Polomski is from Cieszyn, Poland, and got his start as a photographer about eight years ago after being inspired by National Geographic photos and borrowing a camera from a friend. 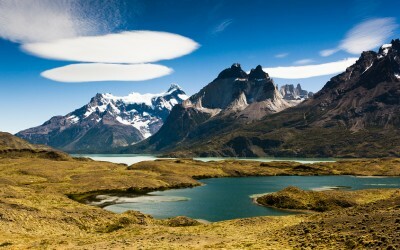 He shares photos from a trip to Argentina and Patagonia – a five day trip he won in a photography contest. Pascal Küng is from Widen, Switzerland, and got his start in photography in 2010, developing a serious love of outdoor landscape photography. 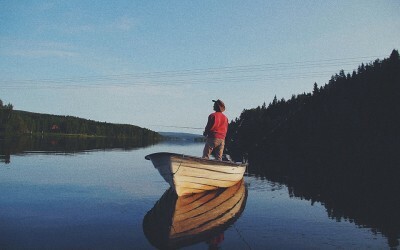 He shares photos from a fishing lake in northern Sweden – a place well worth daydreaming escaping to. Diego Guevara is a photographer, art director, and designer from Miami, Florida who got his start in photography in 2008, honing his skills in a variety of ways. 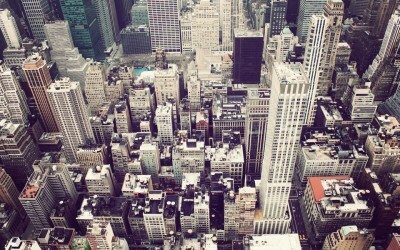 He shares photos from New York City, proving that not ever great expedition has to take place far from civilization.